Maybe I'll get to go to the futurity! 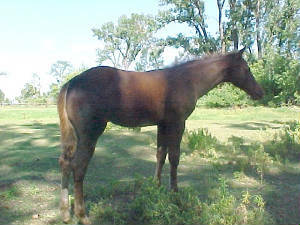 SNICKELFRITZ MIMI - BRED TO LUCKIES BLUE HANCOCK - DUE 2/20/06 - FOALED 3/12/06 - BLUE ROAN FILLY! 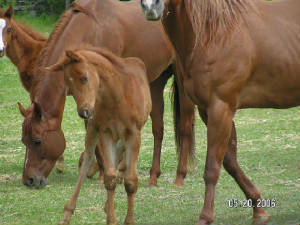 PAYCHECKS PRIDE - BRED TO TESIGN - DUE 3/7/06 - FOALED 3/28/06 - CHESTNUT STUD COLT! 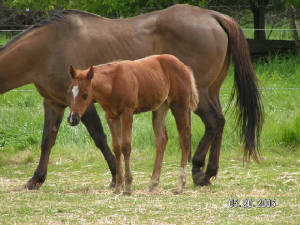 LONG LASTING MEMORY - BRED TO TESIGN - DUE 3/17/06 - FOALED 3/25/06 - SORREL FILLY! 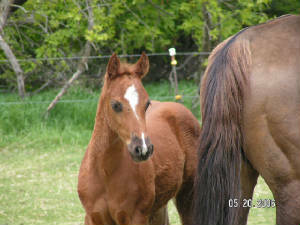 KELOS COLLEEN - BRED TO GRUMPMAILER - DUE 3/26/06 - FOALED 4/1/06 - SORREL FILLY! 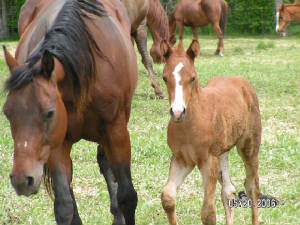 SONS DOMINO JOY - BRED TO VESTED ASSETS - DUE 4/11/06 - FOALED 4/30/06 - SORREL STUD COLT! 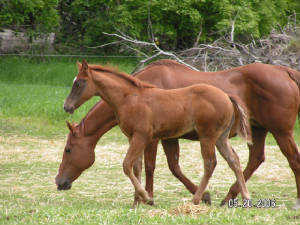 PINES MONA LISA - BRED TO IN A KINGS IMAGE- FOALED 4/15/06 - SORREL FILLY!